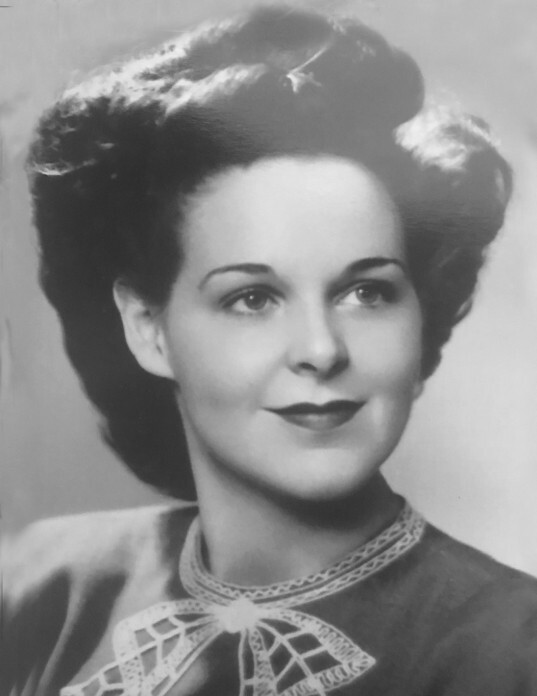 Nell Myrene Greenwell Van Dyke was born on October 12, 1924 and passed away on October 8, 2018 of causes incident to age. Myrene was born in Ogden, Utah to Clyde Thomas and Sarah Lenora “Leah” Pardoe Greenwell. She attended Lorin Farr Elementary School, Central Jr. High School, and Ogden High School where she participated in drama. She attended Weber Academy and then BYU where she studied speech and drama with her uncle and aunt, T. Earl and Kathryn Pardoe, as her professors. Myrene was a member of The Church of Jesus Christ of Latter-day Saints. She married William D. Van Dyke in 1948, who lived just around the corner during their childhood. They were sealed together in the Salt Lake LDS Temple by President George Albert Smith and were married 65 years. Bill and Myrene lived most of their married life in South Ogden where they raised their three children. When her children were all in school, Myrene began working as a secretary at Weber State College and eventually became the secretary to one of the vice presidents. 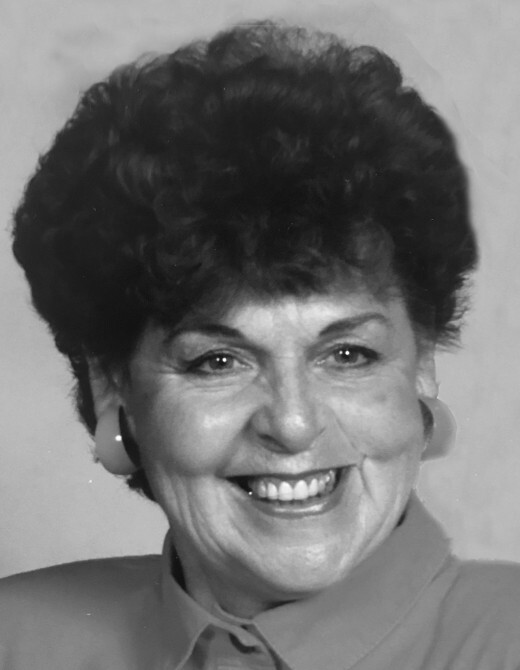 She loved her associations at the college and was a loyal supporter of the Weber State football and basketball teams. She was an avid sports fan. She also served as an advisor to the La Dianeda sorority at Weber State for many years. Myrene was a talented musician who played the piano and directed ward choirs for over 60 years. She also sang in many groups. She performed in many theatrical productions and wrote a number of programs for various events. She was a long- time member of the Drama Club of Ogden and served as president several times. She had also been a member of the Chareya Club and enjoyed the years she spent in bowling leagues and bridge clubs. She and Bill enjoyed extensive travels with neighbors and old friends, many they had known since early school days. They also belonged to a dinner club for over 40 years. Myrene was beautiful, outgoing, and talented. But her most admired gift was that she never spoke unkindly of anyone. She will be remembered for her beautiful smile and warm greetings. The gospel and her family were the most important things in Myrene’s life. Nothing brought her more joy than watching children, grandchildren, and great-grandchildren perform or play ball. She especially enjoyed family gatherings on Sunday evenings where her home was filled with noise and laughter. Her family will forever miss their “Rene”. Myrene is survived by her children, Bill (Mary), Bob (Kathy), and Bonnie (Mike) King; 14 grandchildren, 27 great-grandchildren, and 2 great-great-grandchildren. She was preceded in death by her husband, parents, brother, Clyde P. Greenwell; and sister, Ruth Abbott. Memorial services will be held on Saturday, October 13, 2018, at 11 a.m. at Lindquist’s Ogden Mortuary, 3408 Washington Blvd. Friends may visit with family on Friday from 6 to 8 p.m. and Saturday from 9:30 to 10:30 a.m. at the mortuary. Interment, Ogden City Cemetery.